San Diego, CA (June 20, 2018) – HCAP Partners, a California-based mezzanine debt and private equity firm and recognized impact investor committed to improving job quality through its quality job framework called the Gainful Jobs Approach™, announced that Principal Hope Mago, will join the Local Initiatives Support Corporation (LISC) San Diego Advisory Committee. Hope brings to the committee strong experience and expertise in impact investing and quality job creation and will advise on LISC's overall strategy to expand impact efforts in the community. LISC San Diego supports neighborhood revitalization efforts in the city’s low-income communities by assisting community groups through financing, grants, loans, and equity capital, in addition to providing technical and management assistance, training opportunities, and additional resources. Since 1990 LISC has invested $232 million in San Diego which leveraged an additional $1 billion in capital to develop 6,300 units. The LISC Local Advisory Committee (LAC) includes members from the civic and corporate communities who contribute leadership and provide guidance into strengthening LISC San Diego's initiatives. “We welcome Hope to the Local Advisory Committee and look forward to his insights and thoughts on how we can be an even more effective organization with greater impact on our communities,” commented Ricardo Flores, Executive Director of LISC San Diego. Hope Mago joined HCAP Partners in 2009 and is responsible for sourcing investments, executing deals, and monitoring portfolio companies. 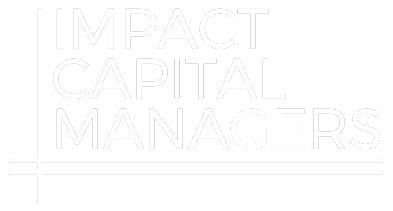 In addition, he has led the development of impact investing initiatives since joining the firm and contributes to thought leadership in the impact investing space. Hope holds an International MBA from the University of San Diego and a bachelor’s degree in finance and banking from the University of Zimbabwe. He is a Steering Committee Member for the Impact Capital Managers, a network that brings together the general partners of market-rate funds deeply committed to impact investing representing over $8 billion in impact-focused capital and Board Member for the Central San Diego Black Chamber of Commerce. The Local Initiatives Support Corporation, known as LISC, is one of the nation’s largest nonprofit funding organizations supporting projects to revitalize communities and bring greater economic opportunity to residents. LISC receives funding from banks, corporations, foundations, and government agencies to provide financing for loans, grants and equity for technical and management assistance to local partners and developers. Founded in 1991, LISC San Diego has invested $232 million in grants, loans, and equity investments in the city’s low-income communities. HCAP Partners was founded in 2000 and is a provider of mezzanine debt and private equity for underserved, lower-middle market companies throughout California and the Western United States. The firm seeks to invest $2 million to $9 million in established businesses generating between $10 million and $75 million in revenues in the healthcare, software, services, and manufacturing industries. HCAP Partners has invested in over 60 companies since it was founded and through ongoing, active engagement with portfolio companies the team at HCAP Partners provides value-added resources to help optimize performance and increase enterprise value. The firm has been recognized as an ImpactAssets 50 fund five years running and, through its Gainful Jobs Approach™, works to facilitate a positive impact on underserved businesses, their employees, and their communities through active portfolio engagement. Partners Tim Bubnack and Frank Mora and Principals Hope Mago and Nicolas Lopez lead HCAP Partners’ investment team. For more information, please visit www.hcapllc.com.